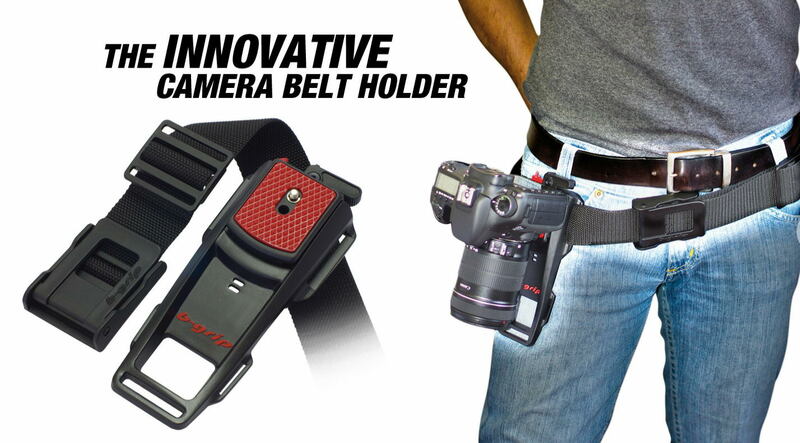 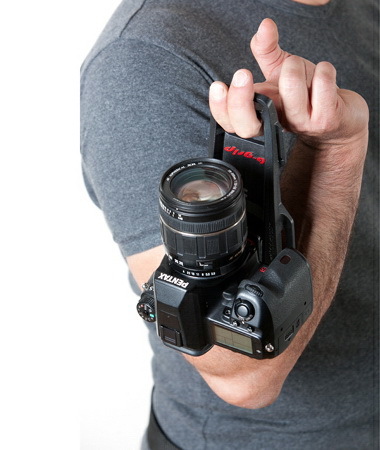 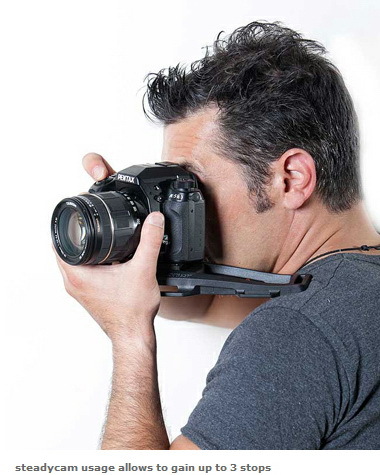 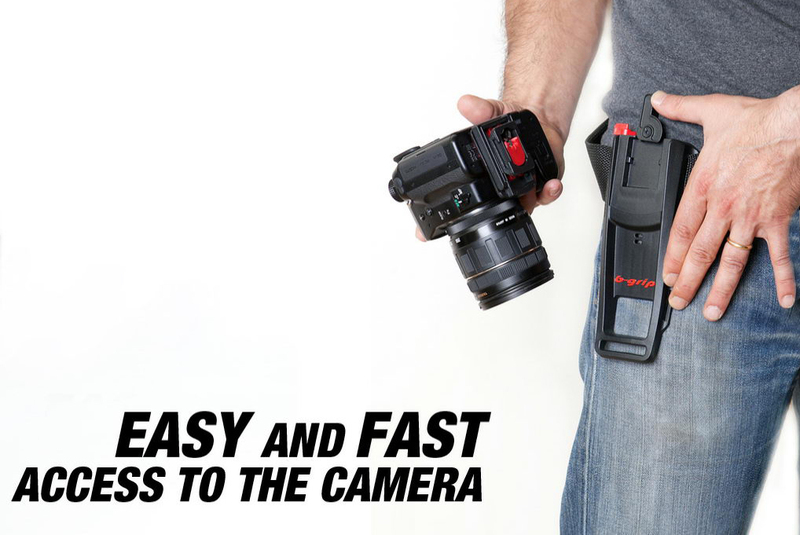 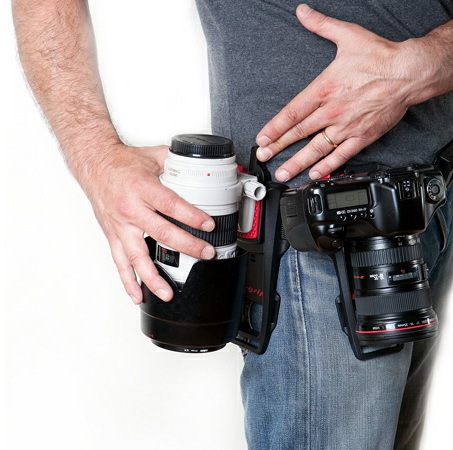 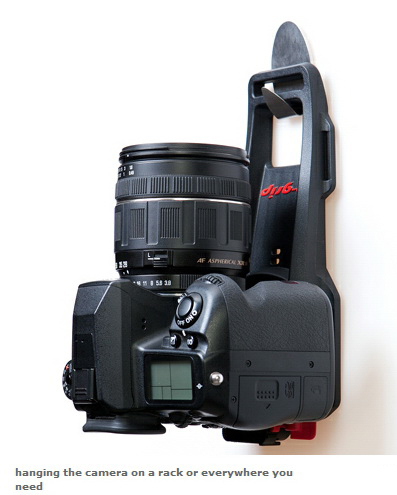 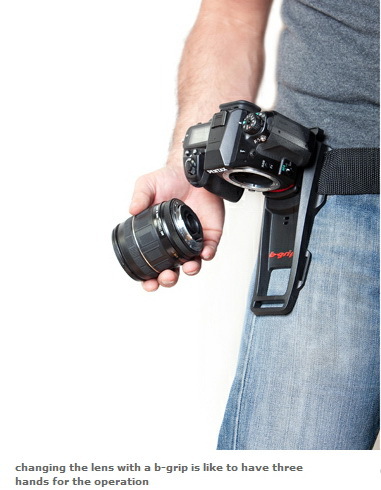 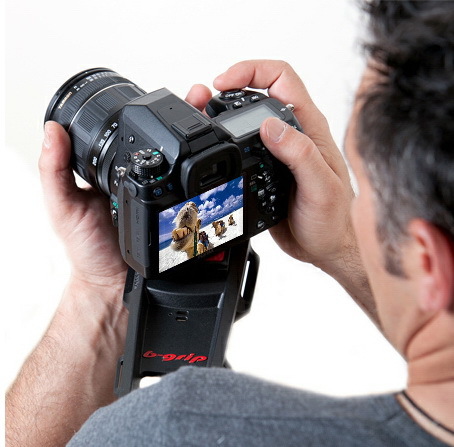 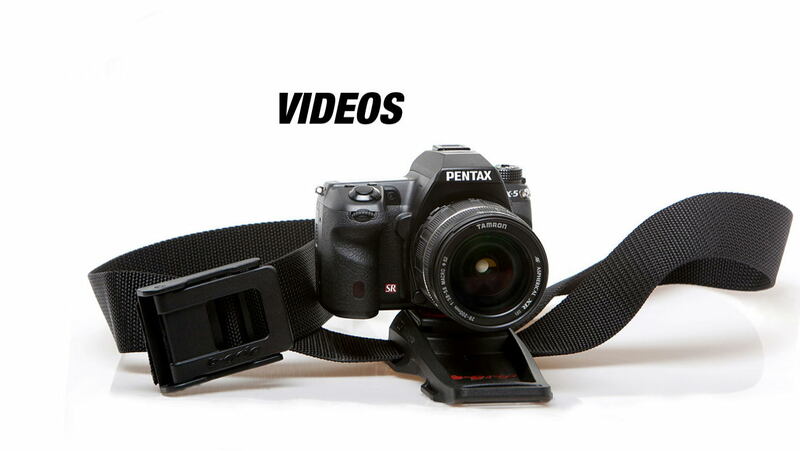 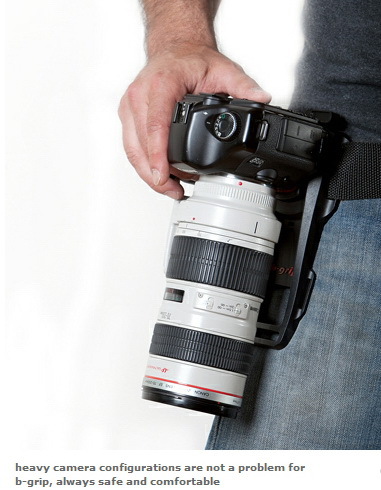 CPTech's b-grip belt holder is a unique innovative alternative to the camera neck strap. 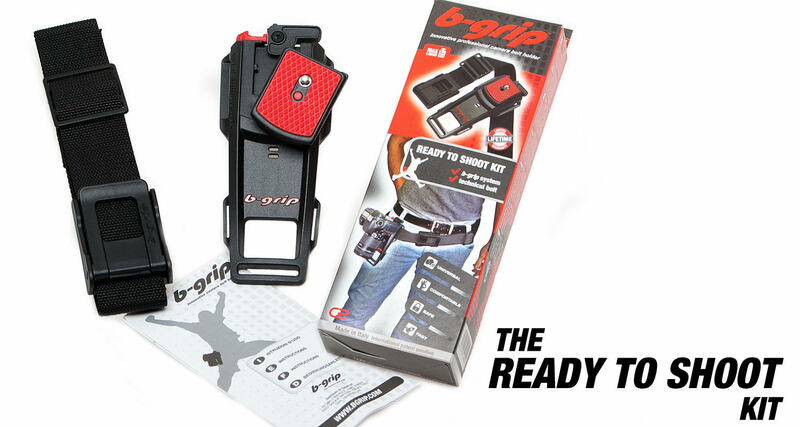 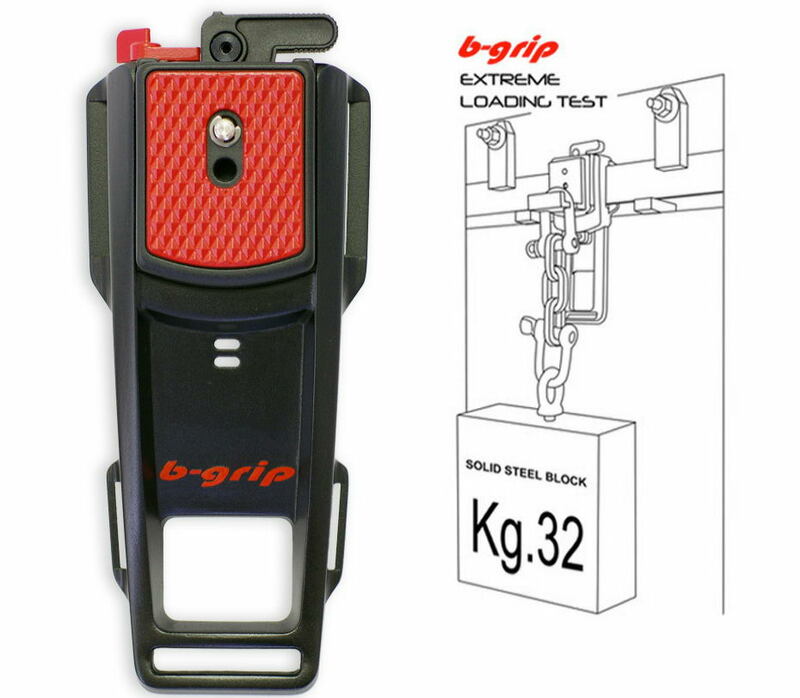 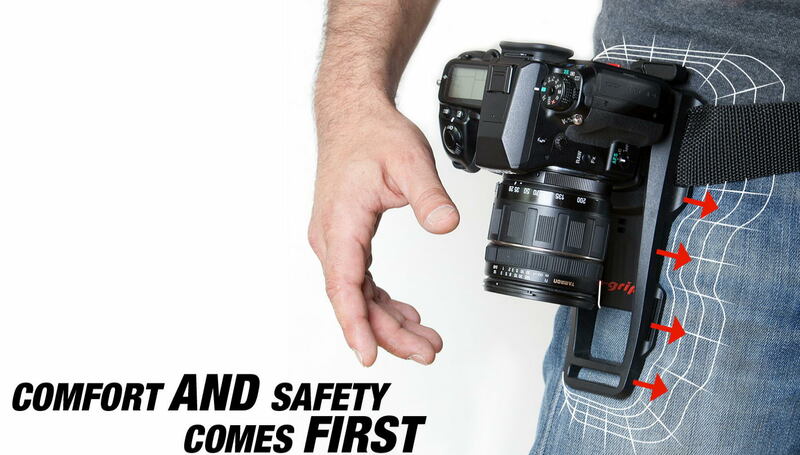 Safe, durable, ergonomic and simple to use, b-grip allows the photographer to carry their camera everywhere and for long periods without neck strain. 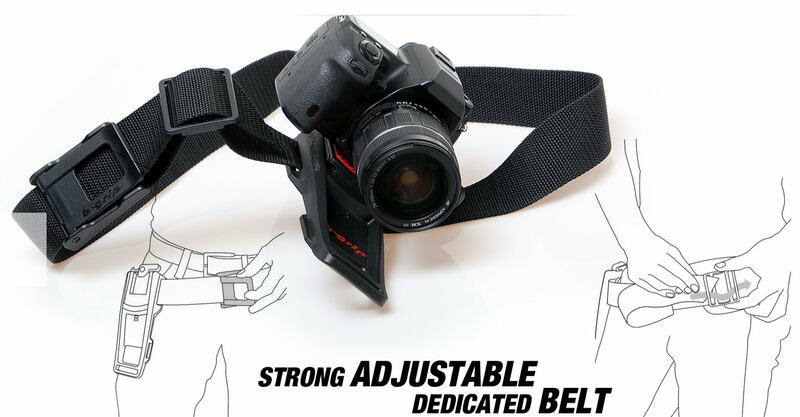 So now it's easy to avoid the inconvenience of a dangling camera swinging around your neck, while keeping your hands and body completely free!! 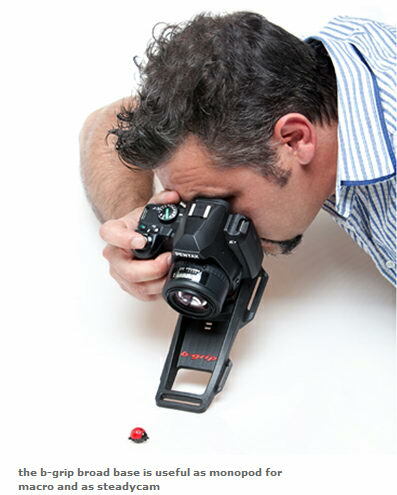 Feel free to visit us at our studio where you can view the products first hand.